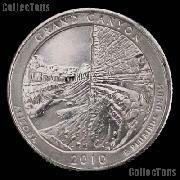 In 2008, the U.S. Congress passed legislation entitled the "America's Beautiful National Parks Quarter dollar Act of 2008. 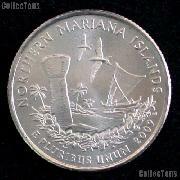 This law allowed for the continuation of production of commemorative quarters, as this new series would immediately follow the successful Statehood Quarter Series (1999-2008) and DC & Territory Series (2009) and cover the release of quarters for the years 2010-2021. 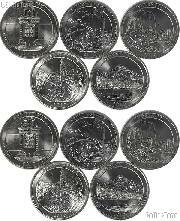 This series of quarters was designed to commemorate the great National Parks, Monuments, and Historic Sites across the country, and one site per state, territory, or district would be chosen to grace the reverse of an issue. 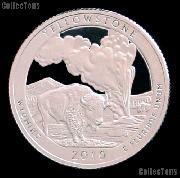 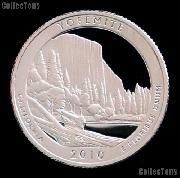 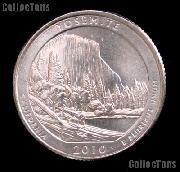 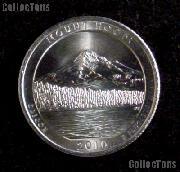 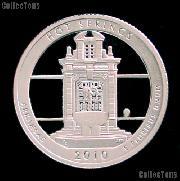 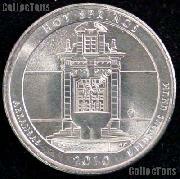 Each reverse would be designed to be emblematic of the specific National Park. 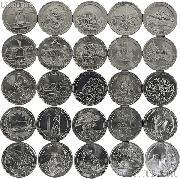 The obverse of each coin would feature the familiar profile of George Washington, though slightly updated, and the same inscirptions. 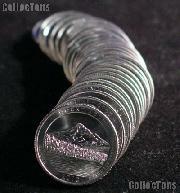 The Washington America the Beautful Series National Park Quarters were first minted in 2010 and will be minted 5 coins per year until 2021. 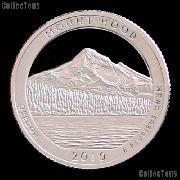 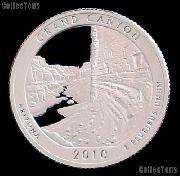 These Quarters are minted at the Philadelphia, Denver, and San Francisco Mints. 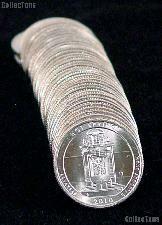 Staring with the year 2012 issues, the San Francisco mint will release uncirculated issues of these quarters for collectors (not general circulation) and these coins will be identical to the business strikes from Philadelphia and Denver Mints (except for the "S" mint mark, naturally). 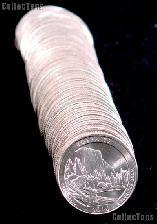 All of the National Park Quarter issues have the same composition as the state quarters for their business strikes, proof, and proof silver issues. 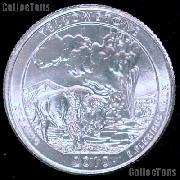 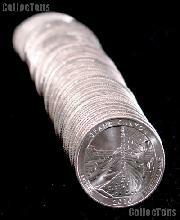 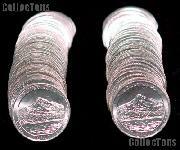 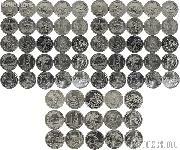 All of the Quarters have a diameter of 24.3 mm and a reeded edge. 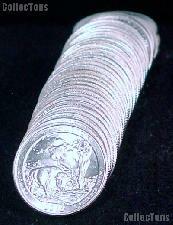 The composition of the business strikes are .9167 copper and .0833 nickel, with a total mass of 5.67 g. The silver proof issues are .900 silver and .100 copper with a mass of 6.25 g.